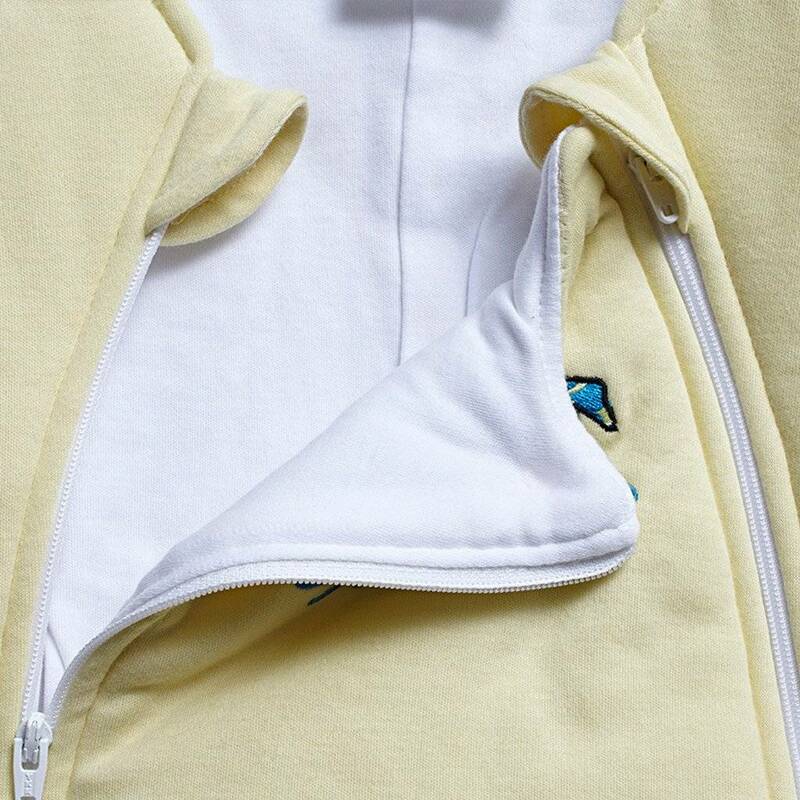 When you put your baby in this soft and comfy yellow cotton Magic Sleepsuit you both will be enjoying restful sleep soon after. You will rest easy knowing your sweet baby will feel comforted and secure during their swaddle transition and beyond. 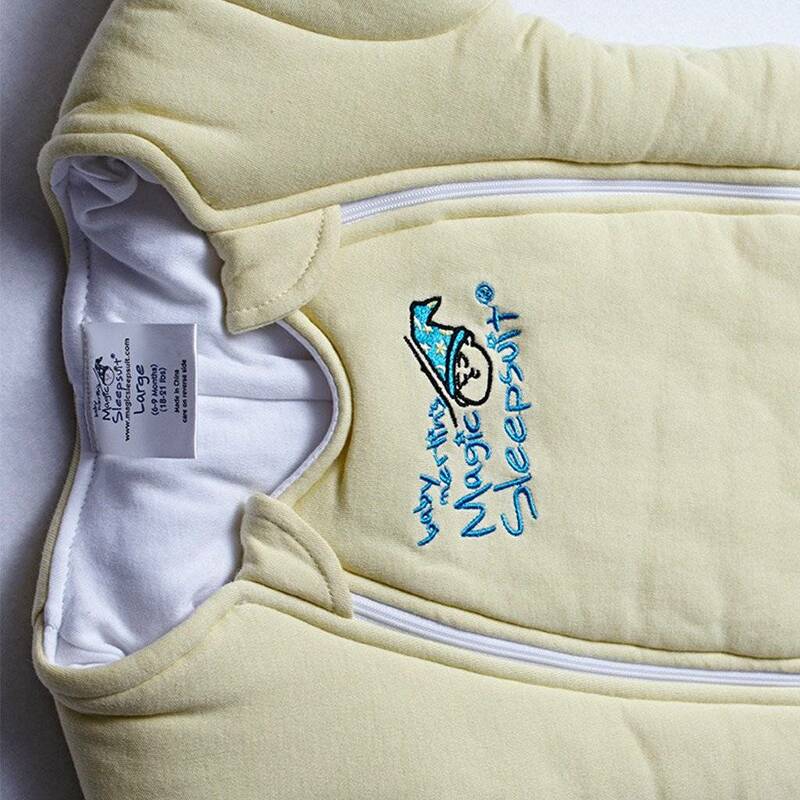 The soft, breathable cotton inner and outer layer with a layer of polyfil in between provides just enough security and comfort to muffle your baby's startles and help them enjoy good quality sleep. 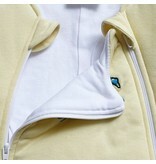 The scooped neckline keeps fabric away from baby's face, and double zippers make diaper changes easy. 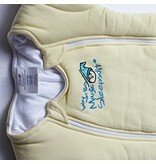 The Magic Sleepsuit is to be used for back sleeping in the crib, the recommended safe sleep position. This saved us when baby was about 1.5 months old. He slept like a baby in this, though I imagine in the New Orleans summer it would be tough. But this was the perfect way to transition into sleeping in his own bed and room after sleeping in a swing and pack and play in our room. It was also great when we no longer felt comfortable swaddling him because he was moving around and loosening the swaddle. Highly recommend for any new baby!